This is a Sponsored post written by me on behalf of Texas Pete for SocialSpark. All opinions are 100% mine. Have you ever cooked with hot sauce? As in create an entire meal based around it? Typically when we hear the word shriacha sauce, sometimes we automatically think it is fire hot. Really, you can cook with it and play with the heat level. It really makes a great marinate. Easy recipes like this come together quickly and are perfect for weeknight dinner. Let me show you how simple this recipe is to create. You will love the layers of flavors! These are the Texas Pete Hot sauce that I used. They are full of flavor! 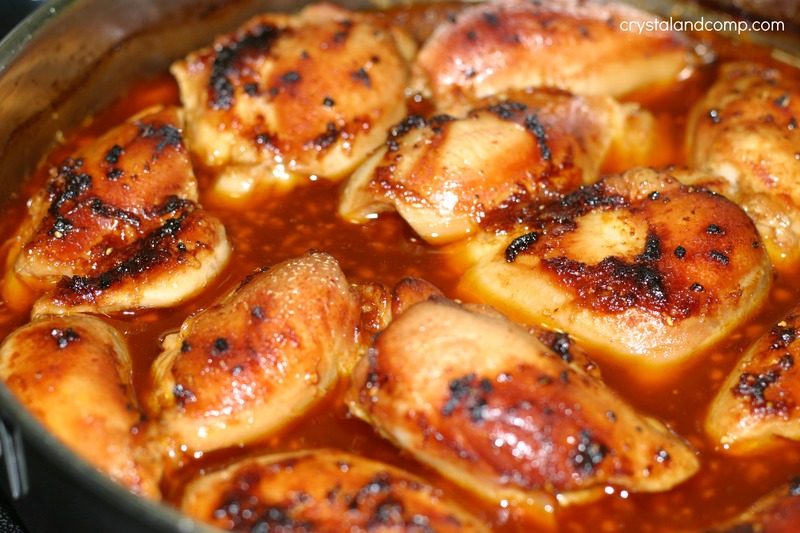 Place your chicken thighs in a large skillet or casserole dish. Mix up the rest of the ingredients for the sauce. 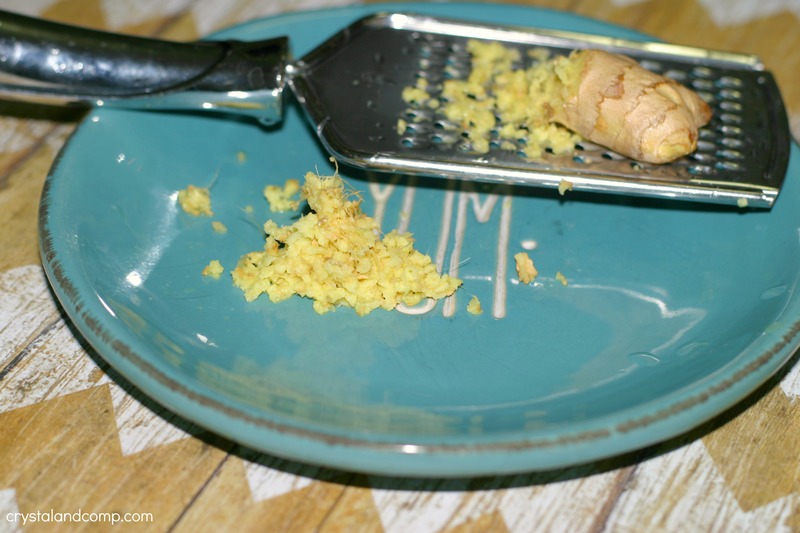 I love the smell of fresh ginger, don’t you? Pour the marinade over the chicken and pop it in a 400° oven for 45 minutes. While the chicken is cooking, steam some rice on the stove. You can also make a salad or another veggie. 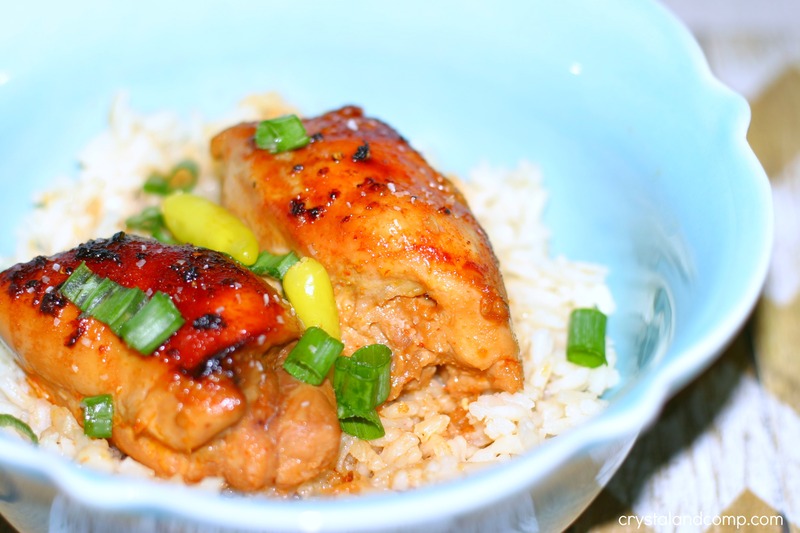 When it is done place the chicken up over a bed of steamed rice. Top with a pepper or two from the pepper sauce and some chopped green onions. Ladle some of the sauce from the pan over the chicken and rice. 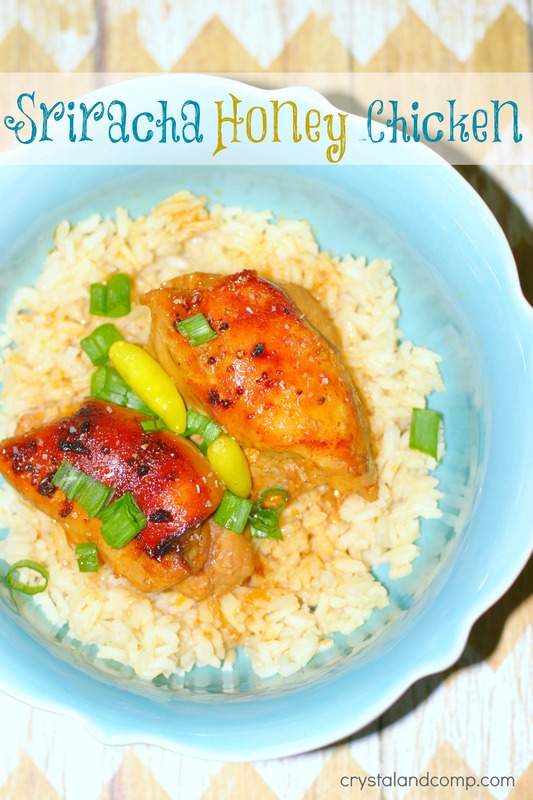 If you want to make it less spicy, use half the sriracha sauce and one extra tablespoon of honey. 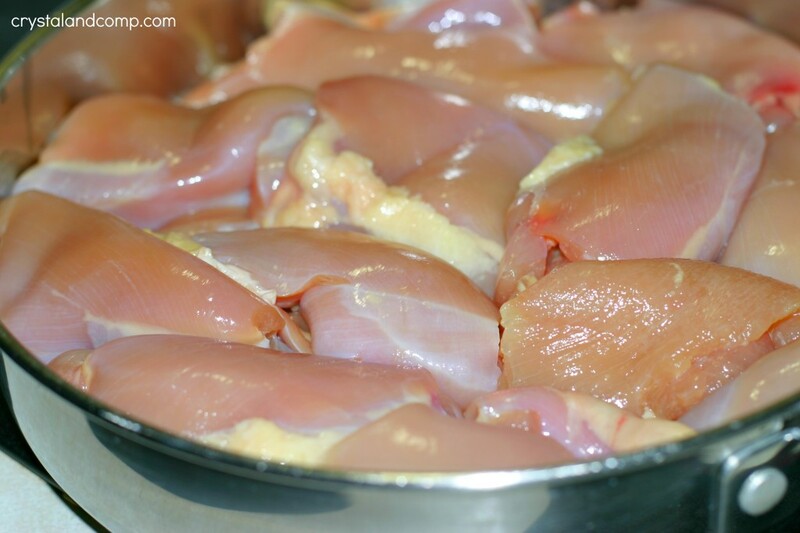 You could also use this to marinate the chicken for a couple of hours in the fridge and then grill the chicken thighs. That would be amazing too! There are so many ways to cook with Pete’s Sauces in the kitchen! Consider using these sauces the next time you cook chicken, soup a casserole or pasta dish! 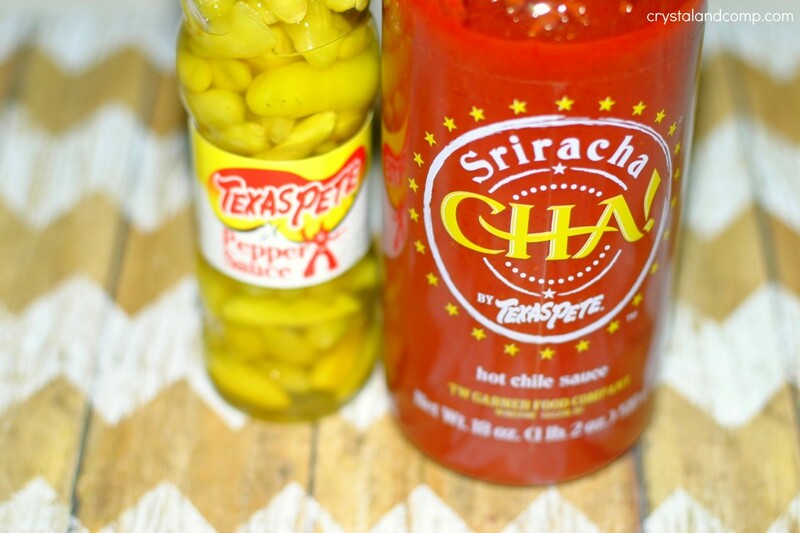 Visit their site for more Texas Pete Hot Sauce recipes. Wondering where to buy these sauces? You can find Texas Pete Hot Sauce here. I’ve tried the chia before! It was pretty good, I’m excited to have another recipe to try it in. Thanks for linking up to Snickerdoodle Sunday!